Enhancing the image and appearance of your business is easy when you choose Tru.Shine Awning Cleaning. 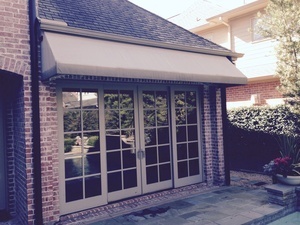 We service many different types of fabric based and plastic awnings to meet your needs. Currently, our professional awning services are available in Houston, Sugarland, Richmond, Katy, and the rest of TX. Locally owned in Houston, TX but servicing Sugarland, Richmond, and Katy as well. 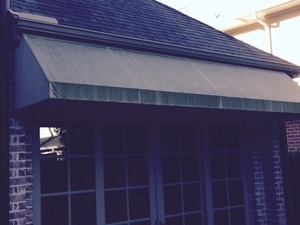 Awnings are a lovely asset to any home or business, but since they are outdoor furnishings, they receive their fair share of environmental damage. Rain, sleet, sun exposure, algae, and more can cause staining and eventually damage. Awning cleaning is an essential element in the appearance of your business, and we can preserve the life of your awnings and canopies thanks to our high pressure awning cleaning service. We chemically treat and remove all the algae off of the awnings and make your awning look brand new. Our awning cleaning service is ideal for removing the dirt and grime, and breathing new life into your awnings. Tru.Shine offers awning cleaning in Houston, Sugar Land, Katy and the Greater Houston Area of TX backed by our terms and conditions. Call today for a free estimate! Window awnings are a great way to let the natural light shine in while protecting your windows from the elements. To keep the awnings looking great for years to come, they will require a little cleaning and maintenance occasionally. If awnings only have light dirt buildup on them, then the cleaning process is a relatively simple job and the awnings don’t have to be taken down to be cleaned. Follow these easy instructions for cleaning window awnings. Soft bristle brush with a removable long handle. A brush designed to wash trucks or campers works great. Use a dry, soft bristle brush, brush away all loose debris from both the top side and underneath sides of the awning. Rinse the top side with water to further help remove debris. In your bucket, fill partway up with warm water, then place a few drips of dish soap in it. Dip the brush into the soapy water and scrub the entire top surface of the awning. Use brush with or without the long handle, whichever makes the scrubbing process easiest for you. Scrub well and make sure the soapy water is worked into the fabric. Wait ten minutes to allow the soap to soak into the fabric to lift out the stains and dirt. Rinse well with water until the soap has come out. Blast the underside of the awning with the water hose, making sure the stream is not too extreme to rip apart the material. Dip a cleaning rag into the soapy water and soap all the under side (use the brush if it’s easier), being sure to apply soapy water around all the edges. Rinse well with clean water from the hose. Inspect the awning for remaining stains. If there are persistent stains, use a stain removal product specialized for the material that your awning is made of following the instructions from the manufacturer. Rinse with clear water. If the stubborn stains are grease or tar from roof-water runoff, a commercial fabric degreaser made be needed to remove the stain. Allow awning to air dry.